GEYLANG WOMAN CLAIM I TOOK HER HANDPHONE. BEWARE! 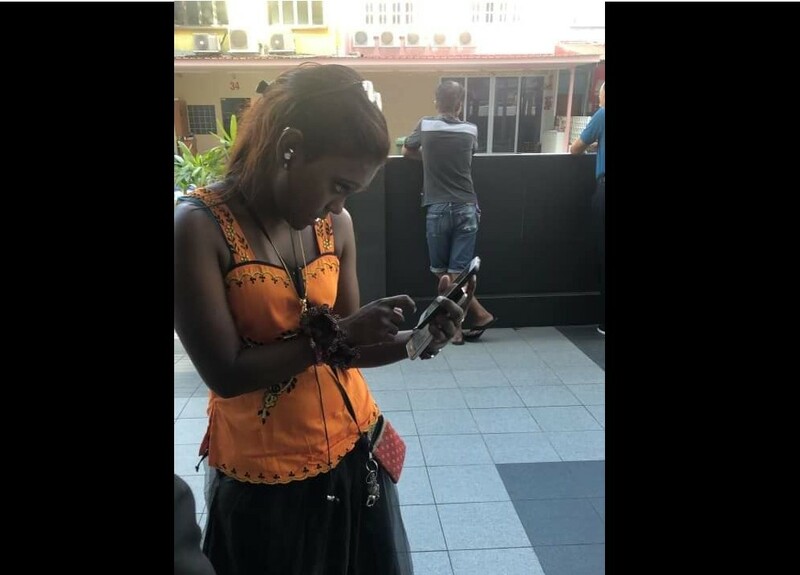 You are at:Home»Caught In The Act»GEYLANG WOMAN CLAIM I TOOK HER HANDPHONE. BEWARE! Be careful this Singaporean Indian lady and other with her couple! i was walking from jalan tiga walk to geylang lor 15 but after work cross road to opp have one indian guy sudden no reason stop me say i take his hp i told him what the mean i take his HP so i ignora just leave but he still chase me stop me again behind me is indian lady chase me also say i stolen her hp force me take out hp show her after i take out my hp show her stupid this indian lady told her couple guy say “yes! that’s my hp” what the hell she talking!! after that i ignore them i just leave straight to my next outlet at sheng shiong geylang lor15 but i see behind they still keep follow me i no choice i have to claim down need shout for HELP i saw it hotel81 i run to hotel81 ask for HELP hotel staff ask me what happened i say help me help me call police because have two stranger keep allow me say i stolen her hp.. after hotel staff help me call police and staff keep protect me until police arrvied. indian lady told police say i stolen her hp, i take out two hp to show police see one is my own iphone other is my xiaomi company hp but she told police say “yes yes xiaomi hp is belong her” what the hell what she talking just now say iphone is belong her now xiaomi hp is belong her very funny! i dun mind let police check my bag already check twice by man police and lady police after two hrs time i am free go! this is happened make me shocked it whole day no mood no appetite i am feel no safe for me working! tomorrow how? following day how? Previous ArticleFAKE SINGAPORE POLICE FORCE LETTERS BEWARE! !